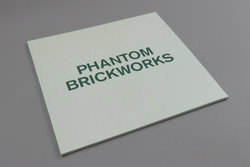 Bibio - PHANTOM BRICKWORKS. Vinyl LP, CD. Bleep. 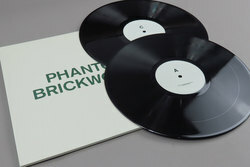 PHANTOM BRICKWORKS is the latest body of work from longstanding Warp artist Bibio, shedding the more traditional folk sound of 2016's A Mineral Love, PHANTOM BRICKWORKS offers nine different windows of stone tape ambiance, shining a light on the ghosts of his life. Designed as a map to see you through mental portals into places and times - some real, some imaginary, Bibio's PHANTOM BRICKWORKS utilizes his skills at crafting improvised musical pieces to smuggle in more darker notions of what constitutes ambient music in 2017. Describing the album's context and ideas, Bibio is quoted as saying: “I don’t believe in ghosts but I do believe places can be haunted by meaning. Places change, not always for the better and not always by natural, benevolent or politically sound means. A place can be charged with atmosphere because of what it has been through or what it has been." Each of the album's nine pieces is improvised around slowly swelling drones that over time evolve into newly formed shapes, yet no matter how loud you listen, tiny details remain just out of reach of your field of hearing. While you know they are passing by, it's hard to grip on to each individual detail as notes slowly take form before withdrawing backwards into the gloom, almost as instantly as they first appeared. The enveloping emptiness at times threatens to engulf you whole as the album, and the time that surrounds it slips by. 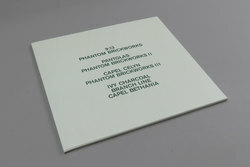 In this transformative way, it would be of note to see PHANTOM BRICKWORKS within the same field of vision as the work of La Monte Young's Dream House 78' 17", Coil's Time Machines or The Caretaker's An Empty Bliss Beyond This World. Vessels designed to use music as a way of transportation, pushing the listener through both time and space to somewhere new, except with Bibio guiding the way forward, where you arrive may not be quite where you expected.